`The Court dismissed the complaint alleging mortgage fraud. Basically, the court found plausible proof of a fraud affecting the plaintiff, but not others. “Hopkins’ allegations, however, do not pled facts showing the associates of the enterprise— here, AHMSI and Citibank—function as a continuing unit. “[T]he continuity requirement focuses on whether the associates’ behavior was `ongoing’ rather than isolated activity.” Odom, 486 F.3d at 553; Bryant v. Mattel, Inc., 573 F. Supp. 2d 1254, 1263 (C.D. Cal. 2007) (“The `continuing unit’ requirement . . . is related to the notion that RICO was not meant to address discrete instances of fraud or criminal conduct.”). 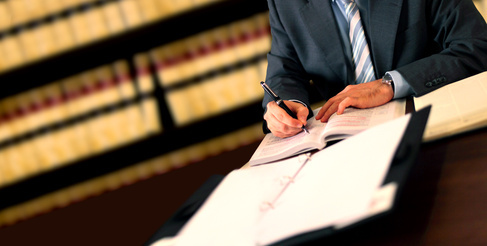 Courts often look to the length of time that the associates have interacted to determine whether they functioned as a continuing unit. See Bryant, 573 F. Supp. 2d at 1263 (“[T]his requirement is related to the duration of the racketeering activities.”); see also Odom, 486 F.3d at 553 (“An almost two-year time span is far more than adequate to establish that Best Buy and Microsoft functioned as a continuing unit.”). No. 13-4447 United States District Court, N.D. California, San Francisco Division. This action was removed to federal court following years of litigation before the Alameda County Superior Court. Several motions are now pending: defendant Citibank’s motions to dismiss and to strike portions of plaintiff’s fourth amended complaint (FAC) and defendant American Home Mortgage Servicing, Inc.’s motion to dismiss the FAC. For the following reasons, defendants’ motions to dismiss are granted in part with respect to plaintiff’s federal claims. In particular, the eighteenth claim for relief (under RICO) is dismissed with leave to amend and the eighth claim (under RESPA) is dismissed with prejudice and without leave to amend. In addition, plaintiff is ordered to show cause why his remaining federal claim against defendant ABC should not be dismissed. If plaintiff wishes to remain in federal court, he must file an amended complaint and respond to this order within thirty (30) days. Plaintiff Donald Ray Hopkins contends that defendants Citibank, Homeward Residential Inc. (Homeward) f/k/a American Home Mortgages Servicing Inc. (AHMSI), and American Home Mortgage Corp. d/b/a American Brokers Conduit (ABC) conspired to foreclose upon his home in Oakland, California. According to Hopkins, AHMSI and ABC secretly instructed his bank, Citibank, to cancel several timely electronic mortgage payments. Hopkins avers that defendants blamed him for the resulting nonpayment, thereby creating a pretext for the subsequent non-judicial foreclosure of his home, which they allegedly sold at a significant profit. Hopkins filed this action in the Alameda County Superior Court in June 2011. Some two years and four amended complaints later, Hopkins for the first time alleged several federal claims for relief in August 2013. Defendants removed, contending this court has original jurisdiction over Hopkins’ federal claims and supplemental jurisdiction over his state law claims. Shortly thereafter, Citigroup filed motions to strike and to dismiss the FAC, with AHMSI bringing its own motion to dismiss. More than two weeks after the opposition deadlines passed for all three aforementioned motions, Hopkins moved to stay these proceedings, because defendant ABC, the purported originator and holder of the mortgage at issue, had filed for bankruptcy protection. (ECF No. 29; ECF No. 35). A previous order denied Hopkins’ motion to stay and ordered him to file responses to defendants’ motions by December 17, 2013. (ECF No. 38). Hopkins filed separate oppositions to Citibank’s and AHMSI’s motions to dismiss, but did not oppose Citibank’s motion to strike. (ECF No. 39; ECF No. 40). Hopkins argues that all of his claims are properly pleaded or, in the alternative, that leave to amend is warranted. Citibank and AHMSI filed replies requesting Hopkins’ claims be dismissed with prejudice. The motions were submitted without oral argument pursuant to Civil Local Rule 7-1(b). A complaint must contain “a short and plain statement of the claim showing that the pleader is entitled to relief.” Fed. R. Civ. P. 8(a)(2). While “detailed factual allegations are not required,” a complaint must have sufficient factual allegations to “state a claim to relief that is plausible on its face.” Ashcroft v. Iqbal, 566 U.S. 652, 678 (2009) (citing Bell Atlantic v. Twombly, 550 U.S. 544, 570 (2007)). A claim is facially plausible “when the pleaded factual content allows the court to draw the reasonable inference that the defendant is liable for the misconduct alleged.” Id. This standard asks for “more than a sheer possibility that a defendant acted unlawfully.” Id. The determination is a context-specific task requiring the court “to draw in its judicial experience and common sense.” Id. at 1950. A motion to dismiss a complaint under Rule 12(b)(6) of the Federal Rules of Civil Procedure tests the legal sufficiency of the claims alleged in the complaint. See Parks Sch. of Bus., Inc. v. Symington, 51 F.3d 1480, 1484 (9th Cir. 1995). Dismissal under Rule 12(b)(6) may be based on either the “lack of a cognizable legal theory” or on “the absence of sufficient facts alleged under a cognizable legal theory.” Balistreri v. Pacifica Police Dep’t, 901 F.2d 696, 699 (9th Cir. 1990). When evaluating such a motion, the court must accept all material allegations in the complaint as true, even if doubtful, and construe them in the light most favorable to the non-moving party. Twombly, 550 U.S. at 570. “[C]onclusory allegations of law and unwarranted inferences,” however, “are insufficient to defeat a motion to dismiss for failure to state a claim.” Epstein v. Wash. Energy Co., 83 F.3d 1136, 1140 (9th Cir. 1996); see also Twombly, 550 U.S. at 555 (“threadbare recitals of the elements of the claim for relief, supported by mere conclusory statements,” are not taken as true). Under RESPA, “[e]ach transferee servicer to whom the servicing of any federally related mortgage loan is assigned, sold, or transferred shall notify the borrower of any such assignment, sale, or transfer.” 12 U.S.C § 2605(c)(1) (2012). RESPA also requires loan servicers to respond to Qualified Written Requests (QWR) submitted by borrowers. § 2605(e). Hopkins alleges AHMSI violated RESPA, because AHMSI failed to provide (1) notice when it began servicing the loan, (2) notice when AHMSI filed for bankruptcy, (3) copies of the operative loan documents, and (4) a response to Hopkins’ March 30, 2012 QWR. (FAC, Exb. A at ¶¶ 22, 69-70). As an initial matter, it is not clear that RESPA requires loan servicers to provide borrowers with notice of bankruptcy proceedings or copies of loan documents. Hopkins does not invoke a single piece of legal authority to support his contrary contention. More importantly, Hopkins fails to allege any pecuniary loss attributable to the RESPA violations. This defect is fatal to his RESPA claims. RESPA provides that anyone who fails to comply with its provisions shall be liable to the borrower for “any actual damages to the borrower as a result of the failure[. ]” 12 U.S.C. § 2605(f). “Although this section does not explicitly set this out as a pleading standard, a number of courts have read the statute as requiring a showing of pecuniary damage in order to state a claim.” Allen v. United Financial Mortg. Corp., 660 F. Supp. 2d 1089, 1097 (N.D. Cal 2009). To advance a RESPA claim, a “[p]laintiff must, at a minimum, also allege that the breach resulted in actual damages.” Id. (citing Hutchinson v. Delaware Sav. Bank FSB, 410 F. Supp. 2d 374, 383 (D.N.J. 2006)). “This pleading requirement has the effect of limiting the cause of action to circumstances in which plaintiffs can show that a failure of notice has caused them actual harm.” Id. at 1097. Courts, however, “have interpreted this requirement [to plead pecuniary damage] liberally.” Yulaeva v. Greenpoint Mortgage Funding, Inc., CIVS-09-1504 LKK/KJM, 2009 WL 2880393, at *15 (E.D. Cal. Sept. 3, 2009). For example, in Hutchinson, plaintiffs pled sufficient pecuniary loss by claiming they suffered negative credit ratings when the servicer submitted delinquency notices to credit bureaus after receiving a QWR. 410 F. Supp. 2d at 383. Here, Hopkins offers only conclusory allegations that he is entitled to damages and attorney fees under RESPA. (See FAC at ¶ 72). Hopkins fails to explain how the alleged RESPA violations caused him any pecuniary loss. See Shepherd v. Am. Home Mortgage Servs., Inc., CIV 209-1916 WBS GGH, 2009 WL 4505925 (E.D. Cal. Nov. 20, 2009) (concluding plaintiff’s allegation he “suffered and continue[d] to suffer damages and costs of suit” was insufficient even under “a liberal pleading standard for harm”). The specific harms plaintiff complains of—the converted loan payments, improper late fees, and non-judicial foreclosure—allegedly resulted from defendants conspiring to cancel Hopkins’ electronic checks and Hopkins ceasing his loan payments. These injuries do not flow from AHMSI’s alleged RESPA violations. Indeed, the complaint suggests that Hopkins was aware during the relevant time period that AHMSI serviced his loan, as he made loan payments to AHMSI since at least July 2008. (See Customer Account Activity Statement, FAC, Exb. 3). Moreover, Hopkins’ QWR was not submitted until March 2012, a year after Hopkins admittedly stopped paying his loans. See Allen, 660 F. Supp. 2d at 1097 (stating plaintiff’s “loss of property appears to have been caused by his default”). Because it does not appear that Hopkins can cure this deficiency with additional good faith pleading, Hopkins’ eighth claim for relief is dismissed with prejudice. To state a RICO claim, a plaintiff must allege that defendant (a) received income derived from a pattern of racketeering activity, and used the income to acquire or invest in an enterprise; (b) acquired an interest in, or control of, an enterprise through a pattern of racketeering activity; (c) conducted or participated in the conduct of an enterprise through a pattern of racketeering activity; or (d) conspired to engage in any of these activities. See 18 U.S.C. § 1962(a)-(d). Although Hopkins’ complaint does not specify which RICO subsection(s) defendants allegedly violated, his allegations most closely fit § 1962(c) and are analyzed accordingly. See Reynolds v. E. Dyer Dev. Co., 882 F.2d 1249, 1251 (7th Cir. 1989) (stating “[I]t is essential to plead precisely . . . the RICO section allegedly violated[,]” but affirming district court decision to analyze under § 1962(c)). Under § 1962(c), a plaintiff must allege: “(1) conduct (2) of an enterprise (3) through a pattern (4) of racketeering activity (known as `predicate acts’) (5) causing injury to plaintiff’s business or property.” Grimmett v. Brown, 75 F.3d 506, 510 (9th Cir.1996) (citing Sedima, S.P.R.L. v. Imrex Co., 473 U.S. 479, 496 (1985)). “[R]acketeering activity” is any act indictable under several provisions of Title 18 of the United States Code, and includes the predicate acts of mail fraud and wire fraud, each of which is alleged in this case. Turner v. Cook, 362 F.3d 1219, 1229 (9th Cir. 2004) (citing 18 U.S.C. § 1961(1)). Claims for mail and wire fraud are subject to Rule 9(b)’s heightened pleading requirements. Sanford v. MemberWorks, Inc., 625 F.3d 550, 557-58 (9th Cir. 2010); Lancaster Cmty. Hosp. v. Antelope Valley Hosp. Dist., 940 F.2d 397, 405 (9th Cir. 1991) (“[Rule 9(b)] requires a pleader of fraud to detail with particularity the time, place, and manner of each act of fraud, plus the role of each defendant in each scheme.”). Hopkins alleges that defendants used mail and wires to disseminate false and misleading information with intent to cause him to miss payments, incur late fees, and default on his home loan. (FAC at ¶¶ 130-145). Specifically, Hopkins avers he directed Citibank to make timely electronic loan payments to AHMSI from July 2010 to October 2010, but AHMSI instructed Citibank to cancel these payments. (Id. at ¶ 1). Hopkins further avers that Citibank and AHMSI either applied these payments to his loan late or converted the funds into secret accounts. (Id. at ¶¶ 1-3). Hopkins’ RICO claim suffers from several deficiencies, which are addressed in turn. Hopkins’ complaint fails to identify a RICO enterprise. “[T]o establish liability under § 1962(c) one must allege and prove the existence of two distinct entities: (1) a `person’; and (2) an `enterprise’ that is not simply the same `person’ referred to by a different name.” Cedric Kushner Promotions, Ltd. v. King, 533 U.S. 158, 161, (2001); Living Designs, Inc. v. E.I. Dupont de Nemours & Co., 431 F.3d 353, 361 (9th Cir. 2005). A “person” is defined as “any individual or entity capable of holding a legal or beneficial interest in property.” 18 U.S.C. § 1961(3). As AHMSI and Citibank are recognized legal entities, they are “persons” within the meaning of RICO. An “enterprise” is defined to include “any individual, partnership, corporation, association, or other legal entity, and any union or group of individuals associated in fact although not a legal entity.” § 1961(4). Hopkins has not alleged the existence of a separate legal entity apart from the defendants; rather his complaint relies on an association-in-fact between the individual defendants. See Bias v. Wells Fargo & Co., 942 F. Supp. 2d 915, 940 (N.D. Cal. 2013) (“An enterprise that is not a legal entity is commonly known as an `association-in-fact’ enterprise.”). The Supreme Court in United States v. Turkette stated that an association-in-fact enterprise is “a group of persons associated together for a common purpose of engaging in a course of conduct.” 452 U.S. 576, 583 (1981). Ninth Circuit precedent requires proof of three elements: (i) a common purpose of engaging in a course of conduct; (ii) evidence of an “ongoing organization, formal or informal”; and (iii) evidence that the various associates function as a continuing unit. Odom v. Microsoft Corp., 486 F.3d 541, 551-52 (9th Cir.2007) (en banc) (quoting Turkette, 452 U.S. at 583). However, an “associated-in-fact enterprise under RICO does not require any particular organizational structure, separate or otherwise.” Id. at 551. Hopkins alleges that the defendants “associated themselves together for a common purpose” of distributing false information to misdirect or steal his monthly loan payments. (FAC at ¶¶ 130, 133). Hopkins specifically alleges that AHSMI and Citibank secretly canceled his checks, deposited the funds into secret accounts, and continued to issue statements indicating his loans had been properly paid. (FAC at ¶¶ 1-3). These allegations, if true, are sufficient to show defendants’ common purpose of misdirecting or stealing Hopkins’ loan payments. See Izenberg v. ETS Servs., LLC, 589 F. Supp. 2d 1193, 1203 (C.D. Cal. 2008) (finding plaintiffs’ allegations that defendants illegally foreclosed on properties “sufficiently plead that defendants had a common purpose— i.e., to collect and foreclose on mortgages illegally”). Similarly, Hopkins’ allegations are sufficient to show an ongoing organization. A plaintiff properly pleads an ongoing organization when he alleges the vehicle or mechanism used to commit the predicate acts. Odom, 486 F.3d at 552 (“An ongoing organization is a vehicle for the commission of two or more predicate crimes.”) (quotation omitted). Here, Hopkins’ allegations of the canceled checks, secret accounts, and incorrect statements sufficiently show the vehicle for defendants’ alleged fraudulent acts. See id. (finding allegations that defendants established “mechanisms for transferring plaintiffs’ personal and financial information” and a “cross-marketing contract” sufficiently evinced an ongoing organization); Friedman v. 24 Hour Fitness USA, Inc., 580 F. Supp. 2d 985, 993 (C.D. Cal. 2008) (“Plaintiffs’ description of the mechanisms that Defendant set up with each payment processor satisfies the requirement of a `vehicle for the commission of at least two predicate acts of fraud[.]'”). Hopkins’ allegations, however, do not pled facts showing the associates of the enterprise— here, AHMSI and Citibank—function as a continuing unit. “[T]he continuity requirement focuses on whether the associates’ behavior was `ongoing’ rather than isolated activity.” Odom, 486 F.3d at 553; Bryant v. Mattel, Inc., 573 F. Supp. 2d 1254, 1263 (C.D. Cal. 2007) (“The `continuing unit’ requirement . . . is related to the notion that RICO was not meant to address discrete instances of fraud or criminal conduct.”). Courts often look to the length of time that the associates have interacted to determine whether they functioned as a continuing unit. See Bryant, 573 F. Supp. 2d at 1263 (“[T]his requirement is related to the duration of the racketeering activities.”); see also Odom, 486 F.3d at 553 (“An almost two-year time span is far more than adequate to establish that Best Buy and Microsoft functioned as a continuing unit.”). Similar to his failure to establish a pattern of racketeering activity, discussed further below, Hopkins’ allegations do not indicate that the defendants’ alleged behavior is ongoing, rather than isolated. See Turkette, 452 U.S. at 583 (noting “the proof used to establish these separate elements may in particular cases coalesce”). Even if the four cancelled checks were the proximate cause of Hopkins’ non-judicial foreclosure, this alone is not sufficient to indicate that Citibank and AHMSI function as a continuing unit. Cf. Izenberg, 589 F. Supp. 2d at 1203 (finding no continuing unit when plaintiffs’ complaint was focused on a single foreclosure sale); Gamboa v. Tr. Corps, 09-0007 SC, 2009 WL 656285, at *5 (N.D. Cal. Mar. 12, 2009) (same). Accordingly, the complaint fails adequately to identify a RICO enterprise. Hopkins also fails to aver facts supporting the existence of a RICO pattern. A RICO claim requires a showing of “a pattern of racketeering activity” which is defined as “at least two acts of racketeering activity” in a ten year period. 18 U.S.C. § 1961(5). “Two acts are necessary, but not sufficient, for finding a violation.” Howard v. Am. Online Inc., 208 F.3d 741, 746 (9th Cir. 2000) (citing H.J. Inc. v. Nw. Bell Tel. Co., 492 U.S. 229, 238 (1989)). “[T]he term `pattern’ itself requires the showing of a relationship between the predicates and of the threat of continuing activity.” Id. Hopkins fails to allege a RICO pattern, because he has not pled facts supporting either closed-ended or open-ended continuity. “[T]o satisfy the continuity requirement, [a complainant] must prove either a series of related predicates extending over a substantial period of time, i.e., closed-ended continuity, or past conduct that by its nature projects into the future with a threat of repetition, i.e. open-ended continuity.” Steam Press Holdings, Inc. v. Hawaii Teamsters, Allied Workers Union, Local 996, 302 F.3d 998, 1011 (9th Cir. 2002) (quoting Howard, 208 F.3d at 750) (alteration original). Defendants’ alleged predicate acts occurred over a four-month period and are insufficient to show closed-ended continuity. See Howard, 208 F.3d at 750 (“Predicate acts extending over a few weeks or months and threatening no future criminal conduct do not satisfy [the closed-ended continuity] requirement. . . . Activity that lasts only a few months is not sufficiently continuous.”) (alteration original); Liu v. Li, EDCV 10-00952 ODW, 2010 WL 4286265, at *5 (C.D. Cal. Oct. 21, 2010) (finding plaintiffs did not sufficiently allege a “pattern” when the predicate acts of wire and mail fraud spanned from January 10, 2007 to March 12, 2007). Open-ended continuity is shown by “[p]redicate acts that specifically threaten repetition or that become a `regular way of doing business. '” Id. (quoting Allwaste, Inc. v. Hecht, 65 F.3d 1523, 1528 (9th Cir. 1995)). Hopkins fails to allege facts that plausibly support his theory defendants improperly cancel customer loan payments as part of their regular way of doing business. Hopkins’ conclusory allegation, unsupported by any facts in the record, that “what happened to plaintiff here is standard operating procedure for defendant[s]” is insufficient to meet Rule 9(b)’s heightened pleading requirements. (ECF. No. 39 at 8). Although it is not apparent how Hopkins can cure the deficiencies in his RICO claim, the policy of granting leave to amend “is to be applied with extreme liberality.” Owens v. Kaiser Found. Health Plan, Inc., 244 F.3d 708, 712 (9th Cir. 2001). “In determining whether leave to amend is appropriate, the district court considers `the presence of any of four factors: bad faith, undue delay, prejudice to the opposing party, and/or futility. '” Id. (quoting Griggs v. Pace Am. Group, Inc., 170 F.3d 877, 880 (9th Cir. 1999)). Although Hopkins’ failure to abide by local rules and comply with a prior court order caused delay in these proceedings, see Order Denying Motion to Stay and Directing Plaintiff to File Responses to Defendants’ Motions to Dismiss and Strike, Dec. 11, 2013 (ECF No. 18), and although it is uncertain if Hopkins can successfully amend his claim, that prospect, at this juncture, cannot be deemed “futile.” See Allen v. City of Beverly Hills, 911 F.2d 367, 374 (9th Cir. 1990). Accordingly, the RICO claim is dismissed with leave to amend. Hopkins’ only remaining federal claim is the thirteenth claim for relief against ABC for violation of the Truth in Lending Act (TILA). While not raised by the parties, it appears that Hopkins’ TILA claim also suffers from significant deficiencies. In particular, Hopkins’ prayer for relief is premised upon an alleged “continuing right to rescind all loans . . . pursuant to 15 U.S.C. § 1635(a) and Regulation Z 12 C.F.R. § 226.23(a)(3).” (FAC, at ¶ 108). Hopkins’ home loan, however, evidently is a “residential mortgage transaction,” which is specifically exempted from the operation of the aforementioned sections. 15 U.S.C. § 1635(e); 12 C.F.R. § 226.23(f). Moreover, barring exceptions not applicable here, any right of rescission Hopkins held expired under the statute in October 2009. 15 U.S.C. § 1635(f) (“An obligor’s right of rescission shall expire three years after the date of consummation of the transaction or upon the sale of the property, whichever occurs first, notwithstanding the fact that the information and forms required under this section or any other disclosures required under this part have not been delivered to the obligor[.]”). Therefore, Hopkins is ordered to show cause why his TILA claim should not also be dismissed. Considering the extent of the state court’s prior involvement in this litigation, if Hopkins is unable to state a federal claim, this action will be remanded to the Alameda County Superior Court. For the aforementioned reasons, defendants’ motions to dismiss are GRANTED in part. Hopkins’ RESPA claims are dismissed with prejudice and his RICO claims are dismissed with leave to amend. If plaintiff wishes to amend his complaint, he must refile within thirty (30) days of this order. Hopkins is further ordered to show cause within thirty (30) days why his TILA claim against ABC should not be dismissed. Hopkins’ further filings, if any, must comply with the Federal Rules of Civil Procedure and the Civil Local Rules of the Northern District of California. This order does not reach Citibank’s motion to strike. If plaintiff substantiates a basis for federal jurisdiction, Citibank’s motion to strike will be resolved at a later date. AHMSI is now known as Homeward Residential, Inc. Because most filings refer to Homeward as AHMSI, that acronym will be used here. Although Hopkins titled his opposition to Citibank’s motions “Plaintiff Donald Ray Hopkins’ Memorandum of Points and Authorities in Opposition to Defendant Citibank’s Motions to Dismiss/Strike Fourth Amended Complaint[,]” he did not offer any substantive opposition to Citibank’s motion to strike. (See ECF No. 40). Hopkins’ allegations may also fit within § 1962(d). Because Hopkins’ claim under § 1962(d) depends on his § 1962(c) claim, the analysis is restricted to § 1962(c). See Odom v. Microsoft Corp., 486 F.3d 541, 547 (9th Cir. 2007). Hopkins also alleges “unlawful dealings in violation of 18 U.S.C. Sections 1961, 1962 and their sub parts.” (FAC at ¶ 137). The term “unlawful dealings” does not appear in the RICO statute, nor does it identify a cognizable legal theory on which plaintiff could base his claim. Hopkins suggests in his opposition that defendants’ alleged RESPA violations are relevant to his RICO claim. (ECF No. 39 at 9). RESPA violations, however, are not predicate acts included in the statutory definition and Hopkins offers no authority or explanation why the alleged violations should be considered “racketeering activity.” See 18 U.S.C. § 1961(1). Hopkins also alleges that defendants engaged in predatory loan practices. (FAC at ¶¶ 130-145). Hopkins concedes that neither AHMSI nor Citibank originated his home loan. Further, Hopkins has not alleged facts showing AHMSI’s or Citibank’s involvement, if any, in issuing his loan. Consequently, even if these practices are predicate acts, they do not support Hopkins’ RICO claims against AHMSI and Citibank. Hopkins complaint is inconsistent as to how many payments AHMSI instructed Citibank to cancel. AHMSI’s Customer Account Activity Statement, attached to the FAC, indicates that Hopkins’ July 2010 through August 2010 payments were eventually applied to his loan, but that the July 2010 payment incurred a late fee. Hopkins’ October 2010 payment was never applied to the mortgage. (FAC, Exb. 3). The Ninth Circuit in Odom noted that the definition of an enterprise is “not very demanding.” 486 F.3d at 548; Boyle v. United States, 556 U.S. 938, 944 (2009) (“the very concept of an association in fact is expansive”). Odom specifically overruled prior holdings requiring the associate-in-fact enterprise to have a sufficiently “ascertainable structure, separate and apart from the structure inherent in the conduct of the pattern of racketeering activity.” See Chang v. Chen, 80 F.3d 1293, 1295 (9th Cir. 1996). Hopkins argues it is clear that defendant’s alleged conduct is typical, because various state Attorneys General Offices have brought actions against AHMSI and because AHMSI was the subject of CBS 60 Minutes “robo-signing” expose. (ECF No. 39 at 8). This evidence is not in the record before the court and is not considered here. “The term `residential mortgage transaction’ means a transaction in which a mortgage, deed of trust, purchase money security interest arising under an installment sales contract, or equivalent consensual security interest is created or retained against the consumer’s dwelling to finance the acquisition or initial construction of such dwelling.” 15 U.S.C. § 1602(x). The RICO law is a tough to statute to understand, with multiple requirements and phraseology sometimes difficult to understand. That is particularly true in the definition of a RICO Enterprise. Initially the test seems straightforward. The RICO statute targets group criminal enterprise and a RICO enterprise includes “any union or group of individuals associated in fact although not a legal entity.” But is it sufficient to show the association of a group or must more be demonstrated. The case adopts a broad definition but it is not clear what more than a group involved in criminal conduct generally with the common goal of making money through an unlawful scheme must be shown. We are asked in this case to decide whether an association-in-fact enterprise under the Racketeer Influenced and Corrupt Organizations Act (RICO), 18 U.S.C. § 1961 et seq., must have “an ascertainable structure beyond that inherent in the pattern of racketeering activity in which it engages.” Pet. for Cert. i. We hold that such an enterprise must have a “structure” but that an instruction framed in this precise language is not necessary. The District Court properly instructed the jury in this case. We therefore affirm the judgment of the Court of Appeals. The evidence at petitioner’s trial was sufficient to prove the following: Petitioner and others participated in a series of bank thefts in New York, New Jersey, Ohio, and Wisconsin during the 1990’s. The participants in these crimes included a core group, along with others who were recruited from time to time. Although the participants sometimes attempted bank-vault burglaries and bank robberies, the group usually targeted cash-laden night-deposit boxes, which are often found in banks in retail areas. Each theft was typically carried out by a group of participants who met beforehand to plan the crime, gather tools (such as crowbars, fishing gaffs, and walkie-talkies), and assign the roles that each participant would play (such as lookout and driver). The participants generally split the proceeds from the thefts. The group was loosely and informally organized. It does not appear to have had a leader or hierarchy; nor does it appear that the participants ever formulated any long-term master plan or agreement. From 1991 to 1994, the core group was responsible for more than 30 night-deposit-box thefts. By 1994, petitioner had joined the group, and over the next five years, he participated in numerous attempted night-deposit-box thefts and at least two attempted bank-vault burglaries. In 2003, petitioner was indicted for participation in the conduct of the affairs of an enterprise through a pattern of racketeering activity, in violation of 18 U.S.C. 2242*2242 § 1962(c); conspiracy to commit that offense, in violation of § 1962(d); conspiracy to commit bank burglary, in violation of § 371; and nine counts of bank burglary and attempted bank burglary, in violation of § 2113(a). In instructing the jury on the meaning of a RICO “enterprise,” the District Court relied largely on language in United States v. Turkette, 452 U.S. 576, 101 S.Ct. 2524, 69 L.Ed.2d 246 (1981). The court told the jurors that, in order to establish the existence of such an enterprise, the Government had to prove that: “(1) There [was] an ongoing organization with some sort of framework, formal or informal, for carrying out its objectives; and (2) the various members and associates of the association function[ed] as a continuing unit to achieve a common purpose.” App. 112. Over petitioner’s objection, the court also told the jury that it could “find an enterprise where an association of individuals, without structural hierarchy, form[ed] solely for the purpose of carrying out a pattern of racketeering acts” and that “[c]ommon sense suggests that the existence of an association-in-fact is oftentimes more readily proven by what it does, rather than by abstract analysis of its structure.” Id., at 111-112. Petitioner requested an instruction that the Government was required to prove that the enterprise “had an ongoing organization, a core membership that functioned as a continuing unit, and an ascertainable structural hierarchy distinct from the charged predicate acts.” Id., at 95. The District Court refused to give that instruction. Petitioner was convicted on 11 of the 12 counts against him, including the RICO counts, and was sentenced to 151 months’ imprisonment. In a summary order, the Court of Appeals for the Second Circuit affirmed his conviction but vacated the sentence on a ground not relevant to the issues before us. 283 Fed.Appx. 825 (2007). The Court of Appeals did not specifically address the RICO jury instructions, stating only that the arguments not discussed in the order were “without merit.” Id., at 826. Petitioner was then resentenced, 3 and we granted certiorari, 554 U.S. ___, 129 S.Ct. 29, 171 L.Ed.2d 931 (2008), to resolve conflicts among the Courts of Appeals concerning the meaning of a RICO enterprise. RICO makes it “unlawful for any person employed by or associated with any enterprise engaged in, or the activities of which affect, interstate or foreign commerce, to conduct or participate, directly or indirectly, in the conduct of such enterprise’s affairs through a pattern of racketeering activity or collection of unlawful debt.” 18 U.S.C. § 1962(c) (emphasis added). The statute does not specifically define the outer boundaries of the “enterprise” concept but states that the term “includes any individual, partnership, corporation, association, or other legal entity, and any union or group of individuals associated in fact although not a legal entity.” § 1961(4). This enumeration of included enterprises is obviously broad, encompassing “any … group of individuals associated in fact.” Ibid. (emphasis added). The term “any” ensures that the definition has a wide reach, see, e.g., Ali v. Federal Bureau of Prisons, 552 U.S. 214, ___, 128 S.Ct. 831, 833, 169 L.Ed.2d 680 (2008) and the very concept of an association in fact is expansive. In addition, the RICO statute provides that its terms are to be “liberally construed to effectuate its remedial purposes.” § 904(a), 84 Stat. 947, note following 18 U.S.C. § 1961; see also, e.g., National Organization for Women, Inc. v. Scheidler, 510 U.S. 249, 257, 114 S.Ct. 798, 127 L.Ed.2d 99 (1994) (“RICO broadly defines `enterprise'”); Sedima, S.P.R.L. v. Imrex Co., 473 U.S. 479, 497, 105 S.Ct. 3275, 87 L.Ed.2d 346(1985) (“RICO is to be read broadly”); Russello v. United States, 464 U.S. 16, 21, 104 S.Ct. 296, 78 L.Ed.2d 17 (1983) (noting “the pattern of the RICO statute in utilizing terms and concepts of breadth”). In light of these statutory features, we explained in Turkette that “an enterprise includes any union or group of individuals associated in fact” and that RICO reaches “a group of persons associated together for a common purpose of engaging in a course of conduct.” 452 U.S., at 580, 583, 101 S.Ct. 2524. Such an enterprise, we said, “is proved by evidence of an ongoing organization, formal or informal, and by evidence that the various associates function as a continuing unit.” Id., at 583, 101 S.Ct. 2524. Notwithstanding these precedents, the dissent asserts that the definition of a RICO enterprise is limited to “business-like entities.” See post, at 2247-2250 (opinion of STEVENS, J.). We see no basis to impose such an extratextual requirement. As noted, the specific question on which we granted certiorari is whether an association-in-fact enterprise must have “an ascertainable structure beyond that inherent in the pattern of racketeering activity in which it engages.” Pet. for Cert. i. We will break this question into three parts. First, must an association-in-fact enterprise have a “structure”? Second, must the structure be “ascertainable”? Third, must the “structure” go “beyond that inherent in the pattern of racketeering activity” in which its members engage? “Structure.” We agree with petitioner that an association-in-fact enterprise must have a structure. In the sense relevant here, the term “structure” means “[t]he way in which parts are arranged or put together to form a whole” and “[t]he interrelation or arrangement of parts in a complex entity.” American Heritage Dictionary 1718 (4th ed.2000); see also Random House Dictionary of the English Language 1410 (1967) (defining structure to mean, among other things, “the pattern of relationships, as of status or friendship, existing among the members of a group or society”). From the terms of RICO, it is apparent that an association-in-fact enterprise must have at least three structural features: a purpose, relationships among those associated with the enterprise, and longevity sufficient to permit these associates to pursue the enterprise’s purpose. As we succinctly put it in Turkette, an association-in-fact enterprise is “a group of persons associated together for a common purpose of engaging in a course of conduct.” 452 U.S., at 583, 101 S.Ct. 2524. Although an association-in-fact enterprise must have these structural features, it does not follow that a district court must use the term “structure” in its jury instructions. A trial judge has considerable discretion in choosing the language of an instruction so long as the substance of the relevant point is adequately expressed. “Ascertainable.” Whenever a jury is told that it must find the existence of an element beyond a reasonable doubt, that element must be “ascertainable” or else the jury could not find that it was proved. 2245*2245 Therefore, telling the members of the jury that they had to ascertain the existence of an “ascertainable structure” would have been redundant and potentially misleading. “Beyond that inherent in the pattern of racketeering activity.” This phrase may be interpreted in least two different ways, and its correctness depends on the particular sense in which the phrase is used. If the phrase is interpreted to mean that the existence of an enterprise is a separate element that must be proved, it is of course correct. As we explained in Turkette, the existence of an enterprise is an element distinct from the pattern of racketeering activity and “proof of one does not necessarily establish the other.” 452 U.S., at 583, 101 S.Ct. 2524. On the other hand, if the phrase is used to mean that the existence of an enterprise may never be inferred from the evidence showing that persons associated with the enterprise engaged in a pattern of racketeering activity, it is incorrect. We recognized in Turkette that the evidence used to prove the pattern of racketeering activity and the evidence establishing an enterprise “may in particular cases coalesce.” Ibid. The crux of petitioner’s argument is that a RICO enterprise must have structural features in addition to those that we think can be fairly inferred from the language of the statute. Although petitioner concedes that an association-in-fact enterprise may be an “`informal'” group and that “not `much'” structure is needed, Reply Brief for Petitioner 24, he contends that such an enterprise must have at least some additional structural attributes, such as a structural “hierarchy,” “role differentiation,” a “unique modus operandi,” a “chain of command,” “professionalism and sophistication of organization,” “diversity and complexity of crimes,” “membership dues, rules and regulations,” “uncharged or additional crimes aside from predicate acts,” an “internal discipline mechanism,” “regular meetings regarding enterprise affairs,” an “enterprise `name,'” and “induction or initiation ceremonies and rituals.” Id., at 31-35; see also Brief for Petitioner 26-28, 33; Tr. of Oral Arg. 6, 8, 17. We see no basis in the language of RICO for the structural requirements that petitioner asks us to recognize. As we said in Turkette, an association-in-fact enterprise is simply a continuing unit that functions with a common purpose. Such a group need not have a hierarchical structure or a “chain of command”; decisions may be made on an ad hoc basis and by any number of methods—by majority vote, consensus, a show of strength, etc. Members of the group need not have fixed roles; different members may perform different roles at different times. The group need not have a name, regular meetings, dues, established rules and regulations, disciplinary procedures, or induction or initiation ceremonies. While the group must function as a continuing unit and remain in existence long enough to pursue a course of conduct, nothing in RICO exempts an enterprise whose associates engage in spurts of activity punctuated by periods of quiescence. Nor is the statute limited to groups whose crimes are sophisticated, diverse, 2246*2246 complex, or unique; for example, a group that does nothing but engage in extortion through old-fashioned, unsophisticated, and brutal means may fall squarely within the statute’s reach. The breadth of the “enterprise” concept in RICO is highlighted by comparing the statute with other federal statutes that target organized criminal groups. For example, 18 U.S.C. § 1955(b), which was enacted together with RICO as part of the Organized Crime Control Act of 1970, 84 Stat. 922, defines an “illegal gambling business” as one that “involves five or more persons who conduct, finance, manage, supervise, direct, or own all or part of such business.” A “continuing criminal enterprise,” as defined in 21 U.S.C. § 848(c), must involve more than five persons who act in concert and must have an “organizer,” supervisor, or other manager. Congress included no such requirements in RICO. Contrary to petitioner’s claims, rejection of his argument regarding these structural characteristics does not lead to a merger of the crime proscribed by 18 U.S.C. § 1962(c) (participating in the affairs of an enterprise through a pattern of racketeering activity) and any of the following offenses: operating a gambling business, § 1955; conspiring to commit one or more crimes that are listed as RICO predicate offenses, § 371; or conspiring to violate the RICO statute, § 1962(d). Proof that a defendant violated § 1955 does not necessarily establish that the defendant conspired to participate in the affairs of a gambling enterprise through a pattern of racketeering activity. In order to prove the latter offense, the prosecution must prove either that the defendant committed a pattern of § 1955 violations or a pattern of state-law gambling crimes. See § 1961(1). No such proof is needed to establish a simple violation of § 1955. Likewise, proof that a defendant conspired to commit a RICO predicate offense—for example, arson—does not necessarily establish that the defendant participated in the affairs of an arson enterprise through a pattern of arson crimes. Under § 371, a conspiracy is an inchoate crime that may be completed in the brief period needed for the formation of the agreement and the commission of a single overt act in furtherance of the conspiracy. See United States v. Feola, 420 U.S. 671, 694, 95 S.Ct. 1255, 43 L.Ed.2d 541 (1975). Section 1962(c) demands much more: the creation of an “enterprise”—a group with a common purpose and course of conduct—and the actual commission of a pattern of predicate offenses. Finally, while in practice the elements of a violation of §§ 1962(c) and (d) are similar, this overlap would persist even if petitioner’s conception of an association-in-fact enterprise were accepted. Because the statutory language is clear, there is no need to reach petitioner’s remaining arguments based on statutory purpose, legislative history, or the rule of lenity. In prior cases, we have rejected similar arguments in favor of the clear but 2247*2247 expansive text of the statute. See National Organization for Women, 510 U.S., at 262, 114 S.Ct. 798 (“The fact that RICO has been applied in situations not expressly anticipated by Congress does not demonstrate ambiguity. It demonstrates breadth” (quoting Sedima, 473 U.S., at 499, 105 S.Ct. 3275, brackets and internal quotation marks omitted)); see also Turkette, 452 U.S., at 589-591, 101 S.Ct. 2524. “We have repeatedly refused to adopt narrowing constructions of RICO in order to make it conform to a preconceived notion of what Congress intended to proscribe.” Bridge v. Phoenix Bond & Indemnity Co., 553 U.S. ___, ___, 128 S.Ct. 2131, 2145, 170 L.Ed.2d 1012 (2008); see also, e.g., National Organization for Women, supra, at 252, 114 S.Ct. 798 (rejecting the argument that “RICO requires proof that either the racketeering enterprise or the predicate acts of racketeering were motivated by an economic purpose”); H.J. Inc. v. Northwestern Bell Telephone Co., 492 U.S. 229, 244, 109 S.Ct. 2893, 106 L.Ed.2d 195 (1989) (declining to read “an organized crime limitation into RICO’s pattern concept”); Sedima, supra, at 481, 105 S.Ct. 3275 (rejecting the view that RICO provides a private right of action “only against defendants who had been convicted on criminal charges, and only where there had occurred a `racketeering injury'”). The instructions the District Court judge gave to the jury in this case were correct and adequate. These instructions explicitly told the jurors that they could not convict on the RICO charges unless they found that the Government had proved the existence of an enterprise. See App. 111. The instructions made clear that this was a separate element from the pattern of racketeering activity. Ibid. The instructions also adequately told the jury that the enterprise needed to have the structural attributes that may be inferred from the statutory language. As noted, the trial judge told the jury that the Government was required to prove that there was “an ongoing organization with some sort of framework, formal or informal, for carrying out its objectives” and that “the various members and associates of the association function[ed] as a continuing unit to achieve a common purpose.” Id., at 112. Finally, the trial judge did not err in instructing the jury that “the existence of an association-in-fact is oftentimes more readily proven by what it does, rather than by abstract analysis of its structure.” Id., at 111-112. This instruction properly conveyed the point we made in Turkette that proof of a pattern of racketeering activity may be sufficient in a particular case to permit a jury to infer the existence of an association-in-fact enterprise. We therefore affirm the judgment of the Court of Appeals. Justice STEVENS, with whom Justice BREYER joins, dissenting. In my view, Congress intended the term “enterprise” as it is used in the Racketeer Influenced and Corrupt Organizations Act (RICO), 18 U.S.C. § 1961 et seq., to refer only to business-like entities that have an existence apart from the predicate acts committed by their employees or associates. The trial judge in this case committed two significant errors relating to the meaning of that term. First, he instructed the jury that “an association of individuals, without structural hierarchy, form[ed] solely for the purpose of carrying out a pattern of racketeering acts” can constitute an enterprise. App. 112. And he 2248*2248 allowed the jury to find that element satisfied by evidence showing a group of criminals with no existence beyond its intermittent commission of racketeering acts and related offenses. Because the Court’s decision affirming petitioner’s conviction is inconsistent with the statutory meaning of the term enterprise and serves to expand RICO liability far beyond the bounds Congress intended, I respectfully dissent. RICO makes it “unlawful for any person employed by or associated with any enterprise engaged in, or the activities of which affect, interstate or foreign commerce, to conduct or participate, directly or indirectly, in the conduct of such enterprise’s affairs through a pattern of racketeering activity.” § 1962(c). The statute defines “enterprise” to include “any individual, partnership, corporation, association, or other legal entity, and any union or group of individuals associated in fact although not a legal entity.” § 1961(4). It is clear from the statute and our earlier decisions construing the term that Congress used “enterprise” in these provisions in the sense of “a business organization,” Webster’s Third New International Dictionary 757 (1976), rather than “a `venture,’ `undertaking,’ or `project,'” ante, at 2244 (quoting Webster’s Third New International Dictionary, at 757). First, the terms “individual, partnership, corporation, association, or other legal entity” describe entities with formal legal structures most commonly established for business purposes. § 1961(4). In context, the subsequent reference to any “union or group of individuals associated in fact although not a legal entity” reflects an intended commonality between the legal and nonlegal entities included in the provision. Ibid. (emphasis added). “The juxtaposition of the two phrases suggests that `associated in fact’ just means structured without the aid of legally defined structural forms such as the business corporation.” Limestone Development Corp. v. Lemont, 520 F.3d 797, 804-805 (C.A.7 2008). Our cases also make clear that an enterprise “is an entity separate and apart from the pattern of activity in which it engages.” United States v. Turkette, 452 U.S. 576, 583, 101 S.Ct. 2524, 69 L.Ed.2d 246 (1981). As with the requirement that an enterprise have business-like characteristics, that an enterprise must have a separate existence is confirmed by § 1962(c) and Reves. If an entity’s existence consisted solely of its members’ performance of a pattern of racketeering acts, the “enterprise’s affairs” would be synonymous with the “pattern of racketeering activity.” Section 1962(c) would then prohibit an individual from conducting or participating in “the conduct of [a pattern of racketeering activity] through a pattern of racketeering activity”—a reading that is unbearably redundant, particularly in a case like this one in which a single pattern of activity is alleged. The only way to avoid that result is to require that an “enterprise’s affairs” be something other than the pattern of racketeering activity undertaken by its members. Recognizing an enterprise’s business-like nature and its distinctness from the pattern of predicate acts, however, does not answer the question of what proof each element requires. In cases involving a legal entity, the matter of proving the enterprise element is straightforward, as the entity’s legal existence will always be something apart from the pattern of activity performed by the defendant or his associates. Cf. Cedric Kushner Promotions, Ltd. v. King, 533 U.S. 158, 163, 121 S.Ct. 2087, 150 L.Ed.2d 198 (2001). But in the case of an association-in-fact enterprise, the Government must adduce other evidence of the entity’s “separate” existence and “ongoing organization.” Turkette, 452 U.S., at 583, 101 S.Ct. 2524. There may be cases in which a jury can infer that existence and continuity from the evidence used to establish the pattern of racketeering activity. Ibid. But that will be true only when the pattern of activity is so complex that it could not be performed in the absence of structures or processes for planning or concealing the illegal conduct beyond those inherent in performing the predicate acts. More often, proof of an enterprise’s separate existence will require different evidence from that used to establish the pattern of predicate acts. Precisely what proof is required in each case is a more difficult question, largely 2250*2250 due to the abundant variety of RICO predicates and enterprises. Because covered enterprises are necessarily business-like in nature, however, proof of an association-in-fact enterprise’s separate existence will generally require evidence of rules, routines, or processes through which the entity maintains its continuing operations and seeks to conceal its illegal acts. As petitioner suggests, this requirement will usually be satisfied by evidence that the association has an “ascertainable structure beyond that inherent in the pattern of racketeering activity in which it engages.” Pet. for Cert. i. Examples of such structure include an organizational hierarchy, a “framework for making decisions,” an “internal discipline mechanism,” “regular meetings,” or a practice of “reinvest[ing] proceeds to promote and expand the enterprise.” Reply Brief for Petitioner 31-34. In other cases, the enterprise’s existence might be established through evidence that it provides goods or services to third parties, as such an undertaking will require organizational elements more comprehensive than those necessary to perform a pattern of predicate acts. Thus, the evidence needed to establish an enterprise will vary from case to case, but in every case the Government must carry its burden of proving that an alleged enterprise has an existence separate from the pattern of racketeering activity undertaken by its constituents. In some respects, my reading of the statute is not very different from that adopted by the Court. We agree that “an association-in-fact enterprise must have at least three structural features: a purpose, relationships among those associated with the enterprise, and longevity sufficient to permit these associates to pursue the enterprise’s purpose.” Ante, at 2244. But the Court stops short of giving content to that requirement. It states only that RICO “demands proof that the enterprise had `affairs’ of sufficient duration to permit an associate to `participate’ in those affairs through `a pattern of racketeering activity,'” before concluding that “[a] trial judge has considerable discretion in choosing the language of an instruction” and need not use the term “structure.” Ante, at 2244. While I agree the word structure is not talismanic, I would hold that the instructions must convey the requirement that the alleged enterprise have an existence apart from the alleged pattern of predicate acts. The Court’s decision, by contrast, will allow juries to infer the existence of an enterprise in every case involving a pattern of racketeering activity undertaken by two or more associates. By permitting the Government to prove both elements with the same evidence, the Court renders the enterprise requirement essentially meaningless in association-in-fact cases. It also threatens to make that category of § 1962(c) offenses indistinguishable from conspiracies to commit predicate acts, see § 371, as the only remaining difference is § 1962(c)’s pattern requirement. The Court resists this criticism, arguing that § 1962(c) “demands much more” than the inchoate offense defined in § 371. Ante, at 2246. It states that the latter “may be completed in the brief period needed for the formation of the agreement and the commission of a single overt act in furtherance of the conspiracy,” whereas the former requires the creation of “a group with a common purpose and course of conduct—and the actual commission of a pattern of predicate offenses.” Ibid. Given that it is also unlawful to conspire to violate § 1962(c), see § 1962(d), this comment provides no assurance that RICO and § 371 offenses remain distinct. Only if proof of the enterprise element—the “group with a common purpose 2251*2251 and course of conduct”—requires evidence of activity or organization beyond that inherent in the pattern of predicate acts will RICO offenses retain an identity distinct from § 371 offenses. This case illustrates these concerns. The trial judge instructed the jury that an enterprise need have only the degree of organization necessary “for carrying out its objectives” and that it could “find an enterprise where an association of individuals, without structural hierarchy, forms solely for the purpose of carrying out a pattern of racketeering acts.” App. 112. These instructions were plainly deficient, as they did not require the Government to prove that the alleged enterprise had an existence apart from the pattern of predicate acts. Instead, they permitted the Government’s proof of the enterprise’s structure and continuing nature—requirements on which all agree—to consist only of evidence that petitioner and his associates performed a pattern of racketeering activity. Petitioner’s requested instruction would have required the jury to find that the alleged enterprise “had an ongoing organization, a core membership that functioned as a continuing unit, and an ascertainable structural hierarchy distinct from the charged predicate acts.” Id., at 95. That instruction does not precisely track my understanding of the statute; although evidence of “structural hierarchy” can evidence an enterprise, it is not necessary to establish that element. Nevertheless, the proposed instruction would have better directed the jury to consider whether the alleged enterprise possessed the separate existence necessary to expose petitioner to liability under § 1962(c), and the trial judge should have considered an instruction along those lines. The trial judge also erred in finding the Government’s evidence in this case sufficient to support petitioner’s RICO convictions. Petitioner was alleged to have participated and conspired to participate in the conduct of an enterprise’s affairs through a pattern of racketeering activity consisting of one act of bank robbery and three acts of interstate transportation of stolen funds. Id., at 15-19. The “primary goals” of the alleged enterprise “included generating money for its members and associates through the commission of criminal activity, including bank robberies, bank burglaries and interstate transportation of stolen money.” Id., at 14. And its modus operandi was to congregate periodically when an associate had a lead on a night-deposit box that the group could break into. Whoever among the associates was available would bring screwdrivers, crowbars, and walkie-talkies to the location. Some acted as lookouts, while others retrieved the money. When the endeavor was successful, the participants would split the proceeds. Thus, the group’s purpose and activities, and petitioner’s participation therein, were limited to sporadic acts of taking money from bank deposit boxes. There is no evidence in RICO’s text or history that Congress intended it to reach such ad hoc associations of thieves. Because the instructions and evidence in this case did not satisfy the requirement that an alleged enterprise have an existence separate and apart from the pattern of activity in which it engages, I respectfully dissent. “The term `enterprise’ as used in these instructions may also include a group of people associated in fact, even though this association is not recognized as a legal entity. Indeed, an enterprise need not have a name. Thus, an enterprise need not be a form[al] business entity such as a corporation, but may be merely an informal association of individuals. A group or association of people can be an `enterprise’ if, among other requirements, these individuals `associate’ together for a purpose of engaging in a course of conduct. Common sense suggests that the existence of an association-in-fact is oftentimes more readily proven by what it does, rather than by abstract analysis of its structure. “Moreover, you may find an enterprise where an association of individuals, without structural hierarchy, forms solely for the purpose of carrying out a pattern of racketeering acts. Such an association of persons may be established by evidence showing an ongoing organization, formal or informal, and … by evidence that the people making up the association functioned as a continuing unit. Therefore, in order to establish the existence of such an enterprise, the government must prove that: (1) There is an ongoing organization with some sort of framework, formal or informal, for carrying out its objectives; and (2) the various members and associates of the association function as a continuing unit to achieve a common purpose. “Regarding `organization,’ it is not necessary that the enterprise have any particular or formal structure, but it must have sufficient organization that its members functioned and operated in a coordinated manner in order to carry out the alleged common purpose or purposes of the enterprise.” App. 111-113 (emphasis added). This provision does not purport to set out an exhaustive definition of the term “enterprise.” Compare §§ 1961(1)-(2) (defining what the terms “racketeering activity” and “State” mean) with §§ 1961(3)-(4) (defining what the terms “person” and “enterprise” include). Accordingly, this provision does not foreclose the possibility that the term might include, in addition to the specifically enumerated entities, others that fall within the ordinary meaning of the term “enterprise.” See H.J. Inc. v. Northwestern Bell Telephone Co., 492 U.S. 229, 238, 109 S.Ct. 2893, 106 L.Ed.2d 195 (1989) (explaining that the term “pattern” also retains its ordinary meaning notwithstanding the statutory definition in § 1961(5)). It is easy to envision situations in which proof that individuals engaged in a pattern of racketeering activity would not establish the existence of an enterprise. For example, suppose that several individuals, independently and without coordination, engaged in a pattern of crimes listed as RICO predicates—for example, bribery or extortion. Proof of these patterns would not be enough to show that the individuals were members of an enterprise. The dissent states that “[o]nly if proof of the enterprise element … requires evidence of activity or organization beyond that inherent in the pattern of predicate acts will RICO offenses retain an identity distinct from § 371 offenses.” Post, at 2250-2251 (opinion of STEVENS, J.). This is incorrect: Even if the same evidence may prove two separate elements, this does not mean that the two elements collapse into one. To be sure, we have read RICO’s enterprise term broadly to include entities with exclusively noneconomic motives or wholly unlawful purposes. See National Organization for Women, Inc. v. Scheidler, 510 U.S. 249, 252, 114 S.Ct. 798, 127 L.Ed.2d 99 (1994) (NOW); United States v. Turkette, 452 U.S. 576, 580-581, 101 S.Ct. 2524, 69 L.Ed.2d 246 (1981). But those holdings are consistent with the conclusion that an enterprise is a business-like entity. Indeed, the examples of qualifying associations cited in Turkette—including loan-sharking, property-fencing, drug-trafficking, and counterfeiting operations—satisfy that criterion, as each describes an organization with continuing operations directed toward providing goods or services to its customers. See id., at 589-590, 101 S.Ct. 2524 (citing 84 Stat. 923; 116 Cong. Rec. 592 (1970)). Similarly, the enterprise at issue in NOW was a nationwide network of antiabortion groups that had a leadership counsel and regular conferences and whose members undertook an extensive pattern of extortion, arson, and other racketeering activity for the purpose of “shut[ting] down abortion clinics.” 510 U.S., at 253, 114 S.Ct. 798. The other subsections of 18 U.S.C. § 1962 further demonstrate the business-like nature of the enterprise element and its necessary distinctness from the pattern of racketeering activity. Subsection (a) prohibits anyone who receives income derived from a pattern of racketeering activity from “us[ing] or invest[ing], directly or indirectly, any part of such income … in acquisition of any interest in, or the establishment or operation of, any enterprise.” And subsection (b) prohibits anyone from “acquir[ing] or maintain[ing]” any interest in or control of an enterprise through a pattern of racketeering activity. We noted in NOW that the term enterprise “plays a different role in the structure” of those subsections than it does in subsection (c) because the enterprise in those subsections is the victim. 510 U.S., at 258-259, 114 S.Ct. 798. We did not, however, suggest that the term has a substantially different meaning in each subsection. To the contrary, our observation that the enterprise in subsection (c) is “the vehicle through which the unlawful pattern of racketeering activity is committed,” id., at 259, 114 S.Ct. 798, indicates that, as in subsections (a) and (b), the enterprise must have an existence apart from the pattern of racketeering activity. For the full text of the relevant portion of the instructions, see ante, at 2242, n. 1.